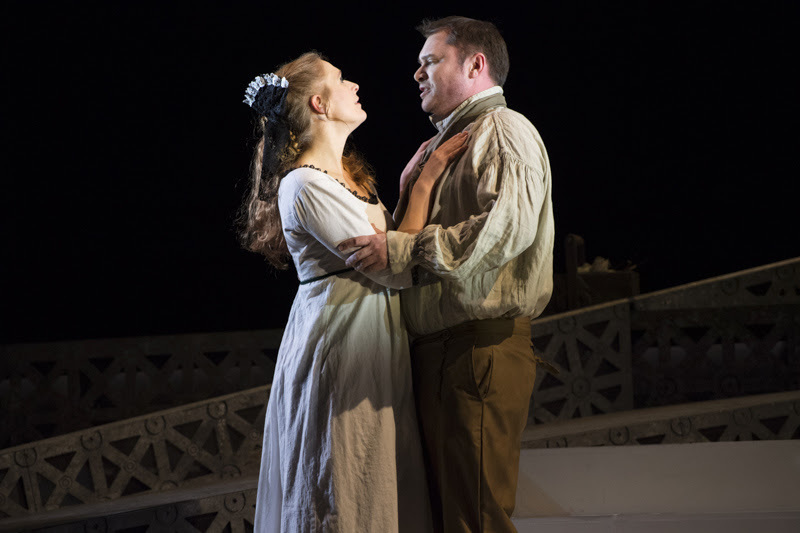 For its Spring 2017 tour, English Touring Opera (ETO) has paired together two contrasting operas, Puccini's Tosca and Gilbert & Sullivan's Patience, taking them to 22 different venues between now and 10 June. The tour opened at the Hackney Empire and we caught the second performance of Tosca on Thursday 9 March 2017. 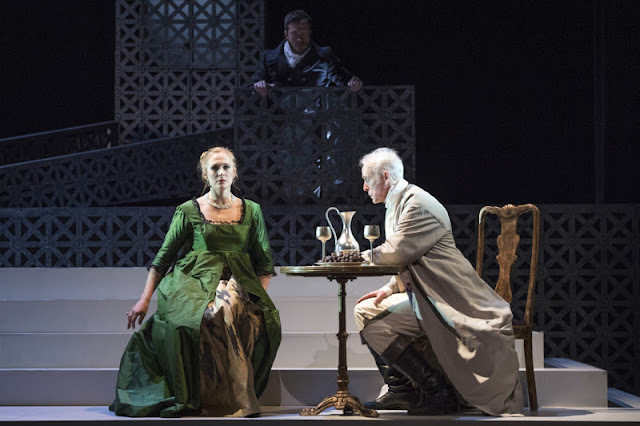 The opera is double cast and we saw Laura Mitchell as Tosca, Alexander James Edwards as Cavaradossi, Craig Smith as Scarpia, Timothy Connor as Angelotti, Jan Capinski as the Sacristan (replacing Matthew Stiff), Aled Hall as Spoleta and Maciek O'Shea as Sciarrone. The production was directed by Blanche McIntyre, designed by Florence de Mare with lighting by Mark Howland, and Michael Rosewell conducted. The production used Tony Burke's orchestral reduction with an orchestral ensemble of 34 (reducing down to 25 at many of the venues on the tour. This is large for G&S but small for Puccini, and in Tosca it meant that ETO cast singers who might not sing the roles with full orchestra in big theatres. But the Hackney Empire is a pretty big space, and sitting in the front stalls, I felt that Michael Rosewell and the orchestra often got the better of the balance in the opera's bigger moments. This was just one aspect of a general feeling that the production was not quite bedded in. We saw the second performance, but it was Laura Mitchell's first night in the title role, and Matthew Stiff's illness meant Jan Capinski was standing in as the Sacristan. 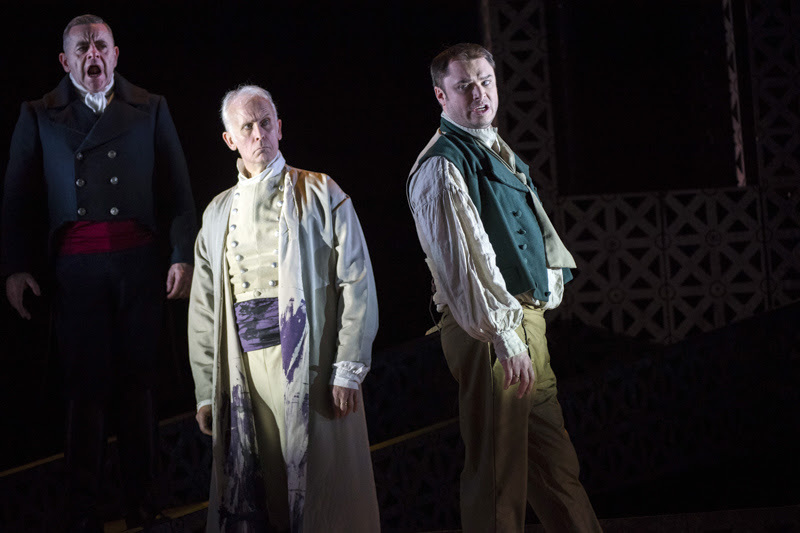 Blanche McIntyre's production treated the opera entirely naturalistically, using the original early 19th century setting and concentrating on telling the story clearly and directly. 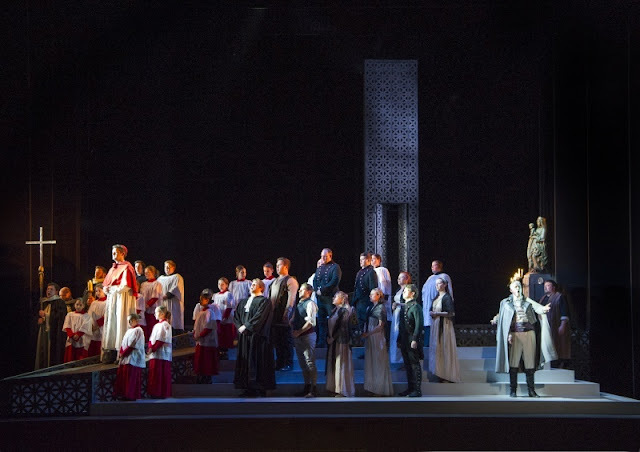 This is no bad thing, when a popular opera like Tosca goes on tour to so many places, there is a good chance that a lot of the people seeing it will be relatively unfamiliar with live opera. But McIntyre comes from a spoken theatre background, Tosca was her first major opera production and I felt that she had not quite got the hang of how the medium works best. And naturalism only works if applied consistently, there were simply too many moments when things failed (Scarpia having no-where to hide in the church, the necessity of having women and girls surpliced and robed, and the fact that the women in the congregation did not cover their heads with mantillas). The most telling moments were the smaller, more intimate ones or when just a couple of characters interacted. The production was full of imaginative details in the different characters, but particularly in Act One these never quite came together. Opera is not naturalistic, and McIntyre seemed to struggle somewhat with the bigger ensembles, and the moments when Puccini gives the characters big belt numbers. So the dramaturgy had naturalism going in and out of focus. 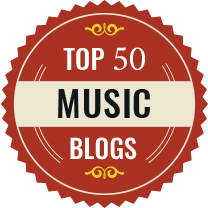 This is the sort of thing that will settle as the production matures on the run. Florence de Mare's unit set provided all the right settings for the opera, but the abstract nature of the set looked a bit unfinished in the first two acts and really only came into focus in the third, and add to this the stepped nature of the setting created the necessity for a lot of clumsy clambering in the first two acts. Laura Mitchell's soprano is on the light side for Tosca, she sings Cleopatra (Giulio Cesare) for ETO in the Autumn and has Fiordiligi, Pamina and Gilda in her repertoire. 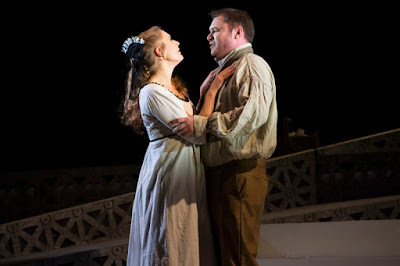 In Act One she emphasised the more girlish side of Tosca's character, She lacked the vehement fire that a more dramatic voice might bring, within these dramatic parameters the role was finely sung with Mitchell's clean lines paying great dividends in the elegance of Puccini's music, and familiarity will bring a little more relaxation and flexibility. Then in Act Two, the dramatic pressure brought about a change and Mitchell showed a real cutting edge to her voice, so that the drama really did ramp up. 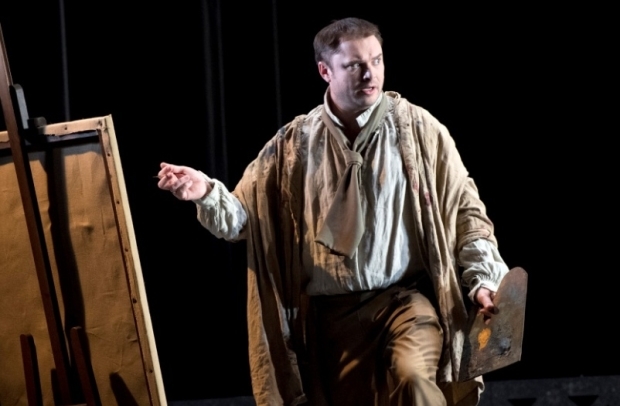 'Vissi d'arte' was a finely sung pause point, but the main thrust of the second two acts was the concentrated intensity of Mitchell's performance. Like Mitchell, Alexander James Edwards is more of a lyric tenor, with roles like Pinkerton and Cavaradossi being the heaviest in his repertoire. He has a nice Italianate style to his delivery which pays dividends in the role, and a lovely sense of focus to his voice which brought the quieter, more intimate moments to the fore. The opening of 'Recondita armonia' was beautifully shaped, and finely controlled, but there were moments here and in Act Two when Edwards passionate performance led him to push his voice a little too much at climaxes, and it was when not on quite full boil that he showed how he could combine his warmly ardent performance with a more focused intensity. This really paid dividends in a performance of 'E lucevan le stelle' in Act Three which avoided grandstanding and was notable for the concentrated power of the performance. Craig Smith made an elegant Scarpia using his manners as a weapon, rather than being a bluff bully. This fitted well with Smith's musical performance; his voice lacks the sheer heft to dominate in the Act One finale. But he created a strong sense of character, though perhaps with not quite enough feeling of danger. But his duel with Laura Mitchell's Tosca in Act Two really upped the intensity of the performance. Their long dialogue sequence made for some thrillingly intense theatre. It was Aled Hall as Spoleta, though, who really gave a masterclass in making a nasty character count whilst seemingly doing very little. Hall's Spoleta was a wonderfully nasty piece of work, clearly relishing his job, all done within an apparently narrow but really telling dramatic range. 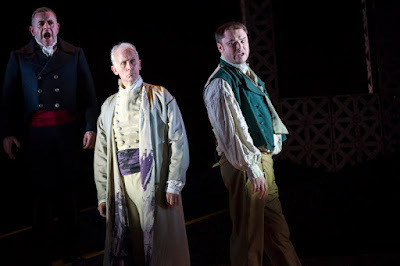 The smaller roles were well cast, with Timothy Connor's vivid portrayal of Angelotti, Maciek O'Shea's glowering Sciarrone and Jan Capinsky as a notably serious Sacristan. 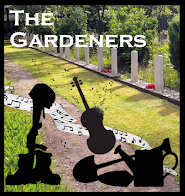 Vanessa Bowers contributed a finely sung off-stage shepherd boy, and Felix Kemp was the jailer. The children in Act One came from a local school, and each performance will use a different local source for the children. We saw ones from St Mary's and St John's CE School, and very good they were too. The Te Deum is led by a cardinal, a non singing role played each night by a different volunteer. This was one of those evenings where everything was in the right place, and there were some powerful individual performances, yet it did not come out quite vintage. Partly this is the fault of the critic, who inevitably comes at an opera laden with the baggage of previous productions (My first Tosca was Scottish Opera in Glasgow in the 1970s and I have seen plenty of productions since). The audience last night was vocally enthusiastic, interrupting to applaud at all the key moments, and giving the cast a warm reception afterwards. 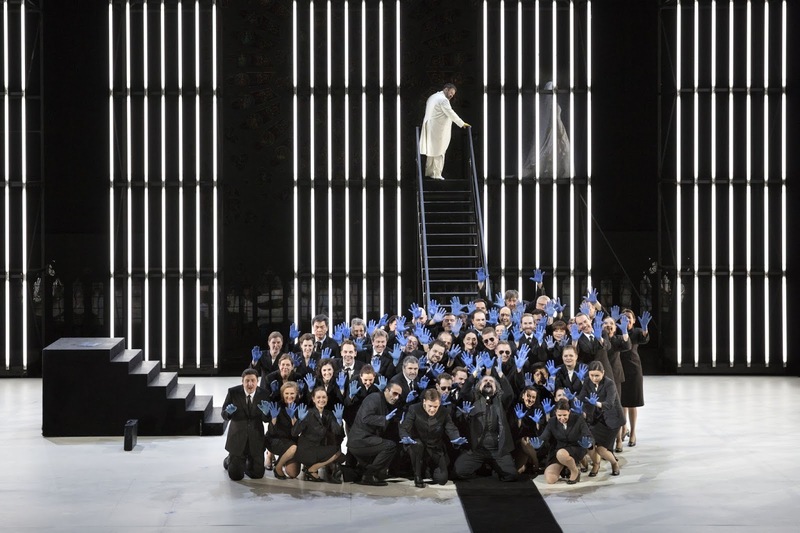 It is usually only critics who constantly want their palates tickled; that the production did not try to do too much with the opera, and allowed it to speak for itself is very much an advantage to most in ETO's key audience.